TIREE: 1 Lesser Whitethroat still at Balephuil – also 3 Willow Warbler and 2 Blackcap there. A Goldeneye was new in at Loch a’ Phuill and 2 juv Black-tailed Godwit there (John Bowler). 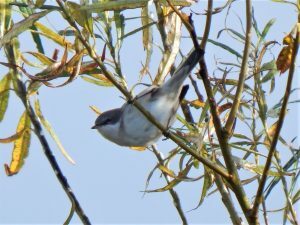 1 Lesser Whitethroat still at the Glebe and a new Lesser Whitethroat nr Cornaig School (Jim Dickson). Several scattered groups (min of 40) of Greenland White-fronted Geese over S, also 52 Whooper Swans (John Bowler/Janet Hunter/Jim Dickson). 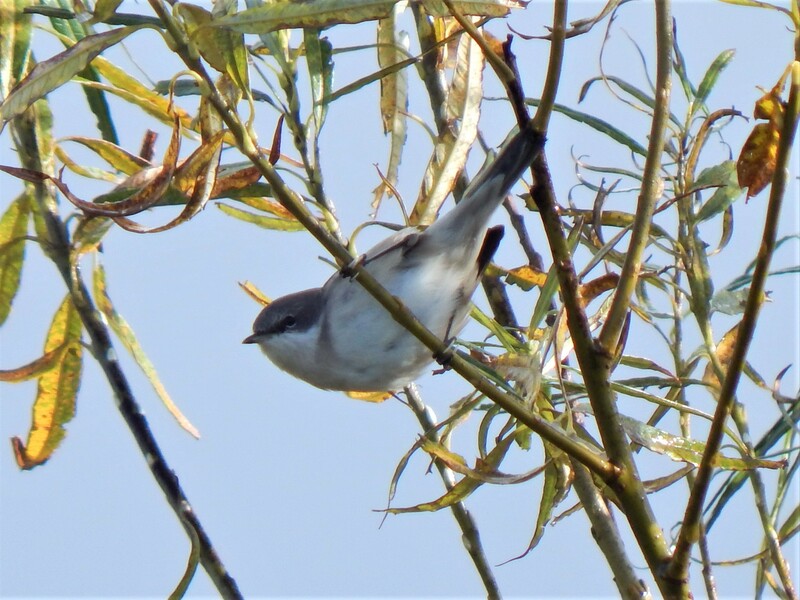 LESSER WHITETHROAT – Balephuil, Tiree 5th Oct (John Bowler).